Did Margaret Sanger Sell Dainty Maid Outfits? 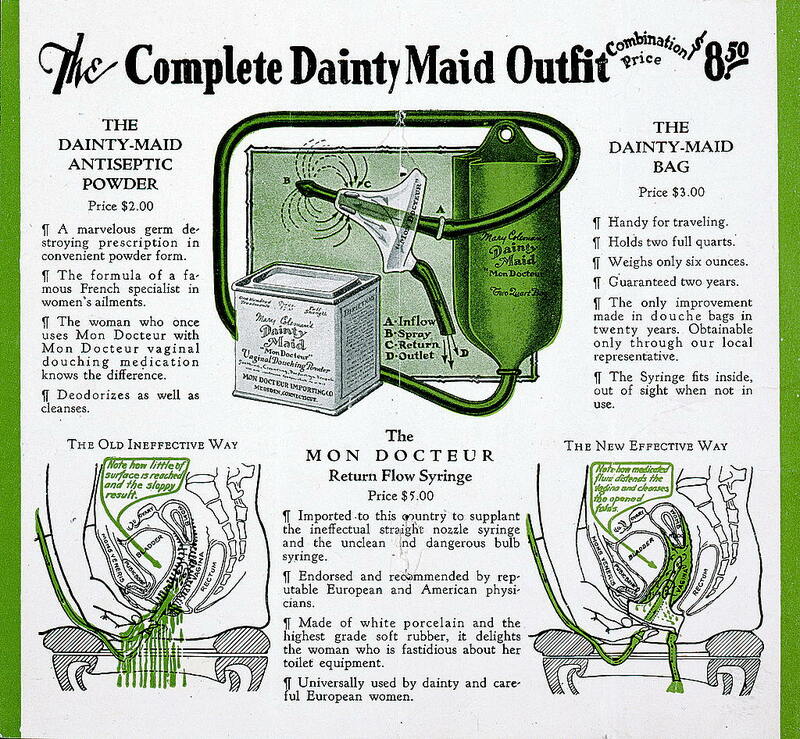 First my disclaimer: I sadly do not own this old advertisement & instructions for the “Dainty Maid Outfit” (douche bag, antiseptic powder, and syringe); I found it while searching at the Library of Congress for photos of Margaret Sanger for the eugenics post. The reason I didn’t include it then & want to discuss it now is two-fold. One, there’s some confusion over Sanger’s connection to the item. While the LoC notes that this paper, published between 1900 and 1930, was part of Sanger’s collection, saying, “Like many of her contemporaries, she retained all kinds of printed matter accumulated during her career, including pamphlets like this one relating to women’s gynecological health and hygiene,” it’s not entirely clear that this is the end of the antique ephemera’s story. In his recent book, Men of Tomorrow: Geeks, Gangsters, and the Birth of the Comic Book (New York, 2004), author Gerard Jones highlights the role played by the poet and editor Harold Hersey in the pulp publishing industry. Hersey, one of Sanger’s lovers in the late 1910s, later wrote an unpublished biography of Sanger. He worked closely with Sanger in the early days of the Birth Control Review. 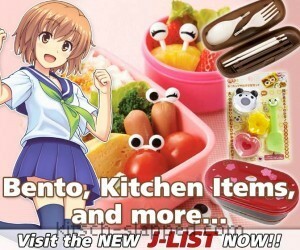 “We didn’t only sell magazines,” Jones quotes Hersey as saying, “but also razor blades and other items.” “The ‘other items’,” Jones explains, “were contraceptives. Sanger was not only a proponent of birth control but a mail-order dealer, with her own line of condoms, diaphragms, and ‘Dainty Maid’ douche kits.” That is new information to us. Sanger was always extremely careful never to associate with the commercial trade of contraceptives. Her opponents often accused her of profiting from her cause, but there has never been a shred of evidence she received money for selling birth control or taking part in a mail order business – under or above ground. It is possible that one distributor of the Review, Eastern News, used its sales network to send illegal publications, condoms and liquor around the country, but most likely Sanger had no knowledge of it. For his sources, Jones cites Hersey’s autobiography, Pulpwood Editor, which does not mention the mail order venture, and unspecified collected material by Michael Feldman, a researcher on the comic book business. Thanks to Professor Ed Shannon for bringing this one to our attention. 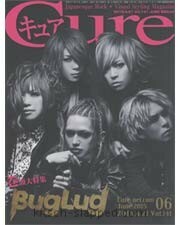 However, there was a 2007 release The New Pulpwood Editor also. And, despite claims to Hersey’s “unpublished biography” of Sanger, others claim to have a copy. All of which not only further confuses things in terms of what source was used, but leaves the accuracy of Hersey too far down the pecking list at this point to even verify it. But regardless of the characters involved & their individual characters regarding telling tales (& proper documentation of sources), how can the MSPP claim Sanger’s ignorance to The Dainty Maid Outfit when the LoC has it — and in their Margaret Sanger collection (Papers of Margaret Sanger, container 252) yet? The second reason I brought this vintage female hygiene ad up separately should be apparent: researching is not for the timid, not the easily exhausted. 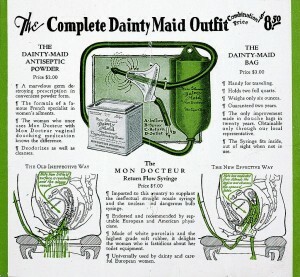 If this was a product Sanger offered via mail order, then perhaps The Dainty Maid was more than a cleansing douche… Contraceptive products, illegal at the time, were sometimes sold with the word “French” used as a secret code to communicate the “illicit” purposes of the product; either to wash away sperm post-coitus or perhaps even the “antiseptic powder” was even a spermicide. At the Margaret Sanger Papers, we were interested to see your blogs on Margaret Sanger, and wanted to provide a little more information on this one. The Hersey biography of Margaret Sanger was never published because the publisher went out of business. Sanger herself was opposed to his publishing it for fear that it would compete with her Autobiography, which was published in 1938. She also wanted more control over what Hersey wrote, as any . She complained years later “His slant on my life was cheap & Hollywood as a Hearst Press liked to see people written about. He was impossible & stupid.” (Sanger’s biographical notes, June 13, 1947 (MS Microfilm Reel S83:616-615). Hersey wrote to Sanger in 1940, apologizing for the event, and wrote her that he had “salted away for safekeeping in various places” copies of the book in “printed proof form”, while he revised it. (Hersey to Sanger, Aug. 6, 1940 MS Microfilm Reel S18:247) We found one at the New York Public Library. It is the only one that we have seen, but we didn’t mean to indicate that there might not be more out there. On the Dainty Maid, the advertisement was found amid three folders of contraceptive advertisements in the Miscellany portion of Sanger’s collection, along with brochures and pamphlets from different countries, as well as clippings from Roman Catholic publications. Her records, especially those at the Library of Congress contain far more than personal papers–at least a half of the collection is made up of the records of one of her birth control leagues, and there is a lot of reference material stored for use in the cause. There is no information, either in the voluminous Library of Congress Collection or the Smith College Collection of Sanger’s papers that indicate Sanger was involved in any mail-order business in contraceptive devices. The Birth Control Clinical Research Bureau regularly tested over the counter contraceptives to see how they worked and judge their efficacy. Sanger was extremely interested in all forms of birth control, always on the look out for new and effective methods, but she wasn’t a fan of douches as contraceptives, finding them ineffective at best. We are still not certain where Gerard Jones came up with the information about Sanger and Dainty Maid. I looked into the 1937 edition of Hersey’s “Pulpwood Editor” (the new one looks like a reprint with added illustrations that I have not seen). Margaret Sanger is never mentioned. Hersey mentioned how publishing a periodical called “Medical Horrors” was going to get him in trouble not only with advertisers who kept his business afloat, but the drug stores where it was sold. “Once let the manufacturers pass the word along the line that I was responsible for Medical Horrors and my goose was cooked. I was not only the head of a publishing business, but a central distributing agency, as well, which serviced the wholesalers over the country with magazines owned by other publishers and those of my own such as the Dance Magazine, Model Airplane News, Slapstick and pulpwood sheets. I was also distributing razor-blades, playing cards and similar products that sell both in drugstores and on the newsstands.” (Hersey, Pulpwood Editor, p. 204). Hersey’s not talking about birth control here, and I think Jones is stretching things a bit. Not that Sanger wouldn’t break the law…. Thanks so much for both adding to the story and clarifying things, Cathy. I continue to find Sanger fascinating. It is easy to vilify or enshrine, based upon your view of her stance; but it is much more difficult — and interesting — to see her as a person (nearly?) as complicated as the times/issues.